Whether it’s Sunday morning or Wednesday night, students show up to your church hoping to have some fun. Games are the easiest way to make that happen. That’s why games are a hallmark of youth ministry. Just because you include a game in your program doesn’t mean that your students will enjoy it. In fact, if we’re honest, a lot of youth pastors just do a game because they think they’re supposed to do a game. It’s Wednesday night and you always do a game on Wednesday night. So, you throw something together and move on. When I say that your games don’t work, I mean that they aren’t fun, funny, or engaging for most of the people in the room. After all, that’s the point of doing a game in the first place, isn’t it? You want to help students have fun, engage more, and loosen up as your program moves toward its bigger goal: helping students take the first step or next step in their relationship with God. 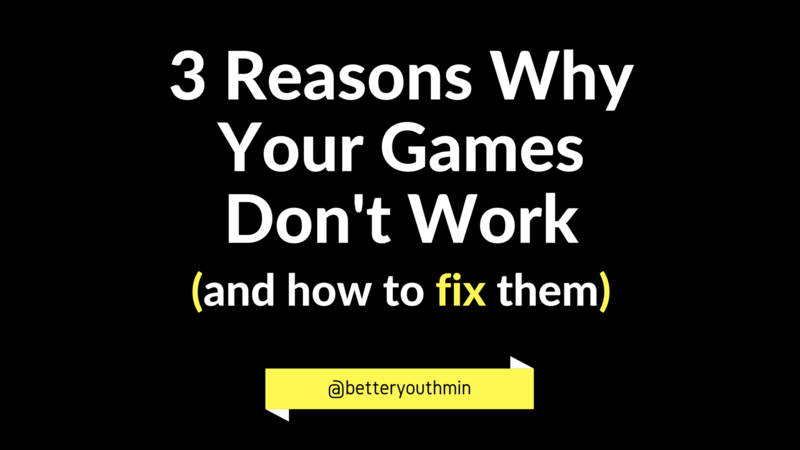 So, let’s consider why your games don’t work. 1. You’re not including everyone. I’ve seen youth pastors start of their games by asking for a few volunteers to participate. That’s the wrong way to do it. Why? Because you’ll get the same extroverted students waving their hands at you and shouting, “Me! Me! Me!” every week. Inevitably, the quieter, smaller students get lost in the shuffle. Even if they would like to participate, they don’t want to try to compete against the larger, louder students to get your attention. In days gone by, I would call up a few students to the front, hand them each a small white board, and do a trivia game. That left everyone else out. As I pondered how to include more people, I had the idea to combine trivia with Four Corners. That small change gives every student a chance to play the game. They guess the answer by going to a particular spot in the room: A was in one corner, B in another, etc. If they get it wrong, they’re eliminated. The last person to get out is the winner of the game. The response from students has been overwhelmingly positive. 2. You’re not giving away a prize. I’m of the opinion that you need to incentivize participation in games. Without a prize, I just don’t think students will care about winning. And if they don’t care about winning, they won’t care about playing. Get a prize to give away to the winner of your game. It doesn’t have to be expensive. In one church, I gave away a $1 box of candy that I bought at Walmart. In fact, just to spice it up, I bought three different $1 boxes of candy and let the winner pick which one they wanted. Those students were just as excited about that box of candy as other students who won a $15 gift card to Target. 3. You’re not playing any music. I observe a lot of youth ministry programs. It’s something I love to do. One of the biggest mistakes that I observe is when there isn’t any music playing during the game. The reason it’s a mistake is because it feels dead. Of course, you don’t want the music blaring through the speakers. You’re explaining the game to the students. But you don’t want silence in the background either. Set up a playlist of music to play during the game. Tell the person running your A/V when to play it. I prefer upbeat instrumental versions of popular songs. The presence of music in the background will create energy and keep the room from feeling dead. 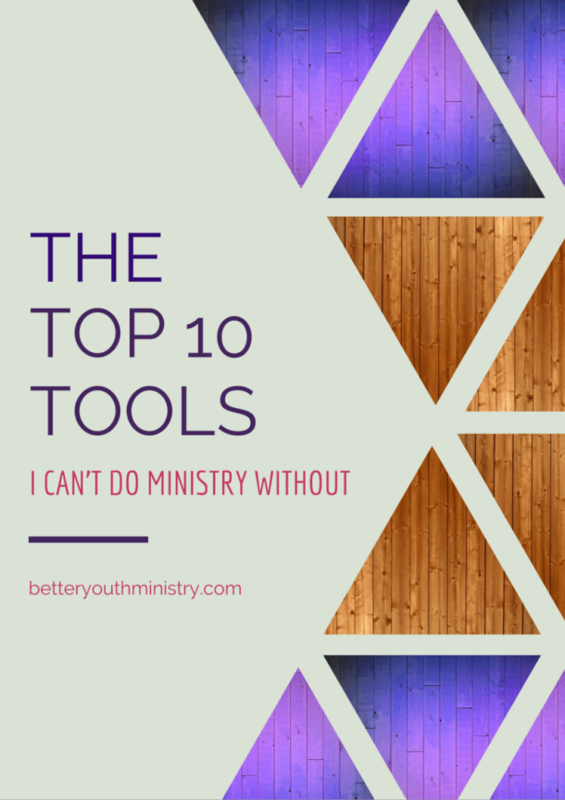 Having fun is an important part of youth ministry. And one of the best ways to help your students have fun is by having good games that engage them. * You’re not including everyone. * You’re not giving away a prize. * You’re not playing any music. * Give away a prize. When you implement these 3 simple changes, you will lead better games, and you will help your students enjoy your ministry more.